Why is it important to have great job references? With so much going on in the economy, many people are finding it almost impossible to find job openings. And when there is a job opening it seems that everybody and their brother is applying for it. Since so many people are fighting hand and fist for the same job as you, it is vital to make sure that you are giving yourself the upper hand in one way or another. A great way to do this is to give the best interview possible and to also leave behind some incredible employment references. Those references can surely make or break your entire chance at the job. Those who do not take the time to list job references, because the ad stated no previous experience necessary, are going to soon find that they are missing out on a lot of jobs. But why is it that job references are so important, especially when a lot of the employment ads are stating that there is no experience necessary. For starters, making your reference list shows that you took the initiative and you are prepared to prove that you have what it takes to do the job and to do it right. It will also show to your potential employer that you stand behind everything you have said in your interview and on your resume as you are giving him or her permission to double check the facts. But what and who makes for a good job reference? The job that you walked out on after two short weeks certainly does not qualify. First think of the jobs that relate to the field you are trying to get into in one way or another. You will want to make sure that the people your potential employer would be contacting actually like you. Even though previous employers are usually prohibited by law to state their personal opinion of you besides anything that pertains to your work, they can get points across when they feel that they need or want to. Also, you will want to make sure that you are getting permission from the people that you want to use as a reference. Most of the times, you will find that this flatters people but there will always be those few people who will decline for whatever reasons. It is also a good idea to make sure that you are getting all of the details of the reference you are using. This would include the full name, their company name along with their current title, their business address, and contact information such as email address and telephone number. All of this is extremely important to do because of the fact that employers do check job references. They want to make sure that they are not wasting their time, energy, and money into someone who will not perform up to their standards. So when you are listing your job references make sure that you are taking it seriously and following all of the advice you have been given. For the best results you should consider placing your employment references on a separate piece of paper instead of trying to smash it all into the resume. 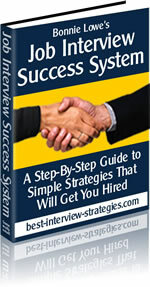 After it is all said and done you should have no problem creating job references each and every time you need them. Hopefully you will be able to land the job of your dreams and never have to worry about any of that again.